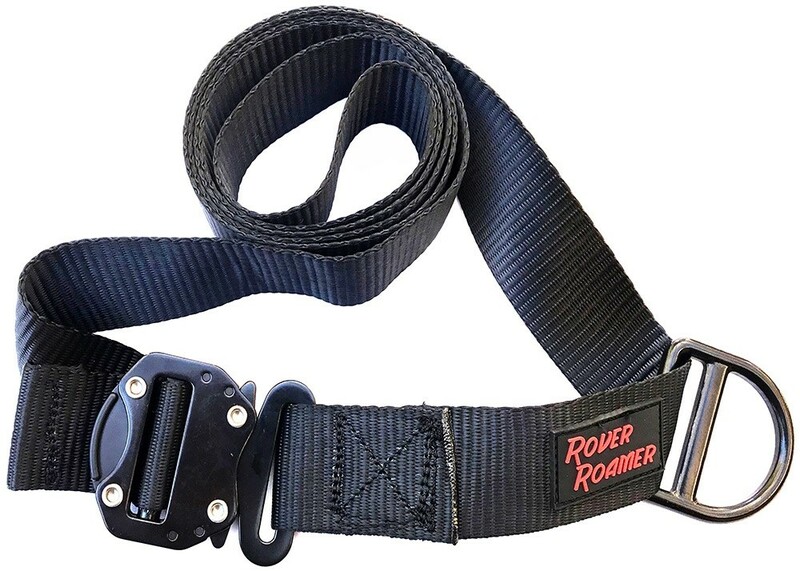 Side-release metal buckle straps w/ 2" heavy duty, flat nylon, designed for high abrasion applications such as tree trunks. Thickness of .070 - .075 of an inch with a breaking strength ranging from 2275lbs. - 5500lbs. All straps have a fold over containment stitch. Choose 2 lengths below, 6' or 10'. If using the trunk of a tree as an anchor point and it's wider than 2 feet, the 6' strap will not reach around it. Choose a branch if possible or use the auxiliary clamp to wrap the rope around the trunk securely. The formula for diameter is d = C/3.14 so if using the 6ft strap (circumference) then 6 ÷ 3.14 = 1.91 feet in diameter. Diameter is the width of the tree so any tree over 2 feet wide won't work with the 6 ft straps. The 10 ft strap will accommodate trees under 3 feet wide. Any tree wider than what your strap can accommodate will require you to wrap the rope around the tree and secure it with the auxiliary clamp. REMEMBER TO ORDER 2 FOR A FULL SET, ONE FOR EACH ANCHOR POINT. Find two trees (or posts or polls) high enough so that the rope can run over the heads of most people.The standard strap is 6 feet long which will work on most trees but larger trunks will require a longer length strap or using the Auxiliary Rope Clamp as a substitute. Adjust the strap so its snug enough not to fall or sag too much. Position the included D-ring in the front so that the flat end is against the tree or post. Attach the ratchet to the D-ring. Duplicate the steps for the other anchor point.